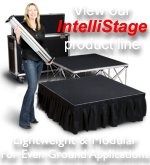 All Terrain Stage Platforms come in two finishes to meet your needs. 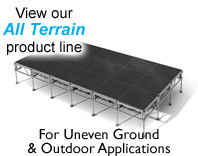 We offer either our Weather Resistant Black finish and our Weather Proof Aluminum. 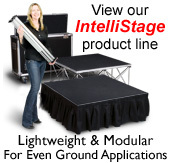 Our Weather Proof Aluminum panels are composed entirely of Aluminum and are impervious to all weather conditions.